In the city known as the 'Land of Victory,' we are proud to bring you with world-class properties. Vijayawada has a flourishing urban population and a great tropical atmosphere to live. Residents have the advantage of being just 3.1 miles away from Andhra Pradesh’s new capital, Amaravati. 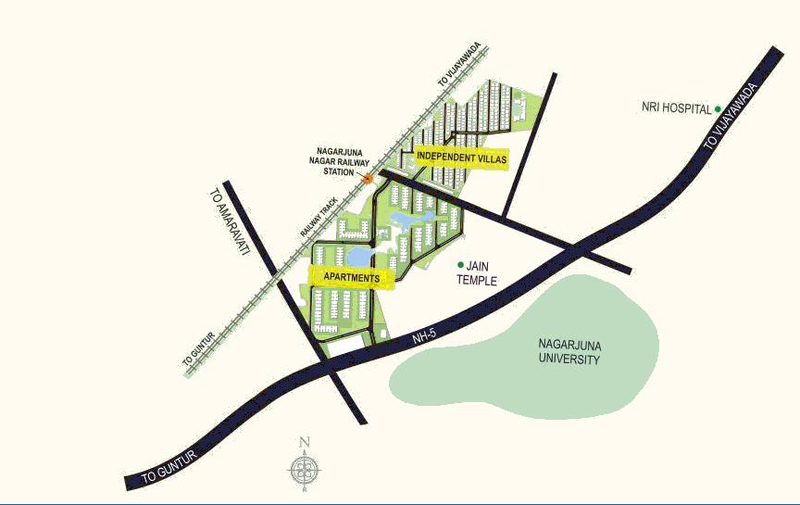 It’s very beneficial owning property in a locality like this which is approx. It is just 30 miles away from Guntur. 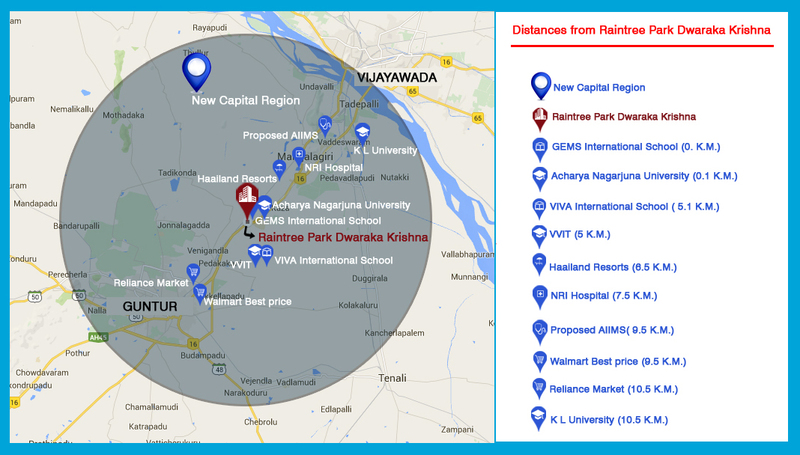 Raintree Park Dwaraka Krishna - Phase II is the new apartment project in Vijayawada and Guntur, located along NH 5 Guntur - Vijayawada Highway opposite to Acharya Nagarjuna University, Andhra Pradesh. There are outstanding schools and sophisticated hospitals located in the property’s vicinity. Few among the best schools are Delhi Public Schools, K.C.P. Siddhartha School, Bishop Grassi High School, etc. Few of the world-class hospitals in the proximity are Anurag Children’s Hospital, Ramesh Hospitals, Vimhans Hospital, etc. It also emerged as the cleanest city in the state. So, get ready to experience a high-class living! A well-organised transportation framework of the city played a remarkable role in its growth. The city has excellent public transportation facilities to make travelling enjoyable.